I made a delicious recipe using SPLENDA® Sweetener Products as part of a sponsored post for Socialstars #SplendaSweeties #SweetSwaps. 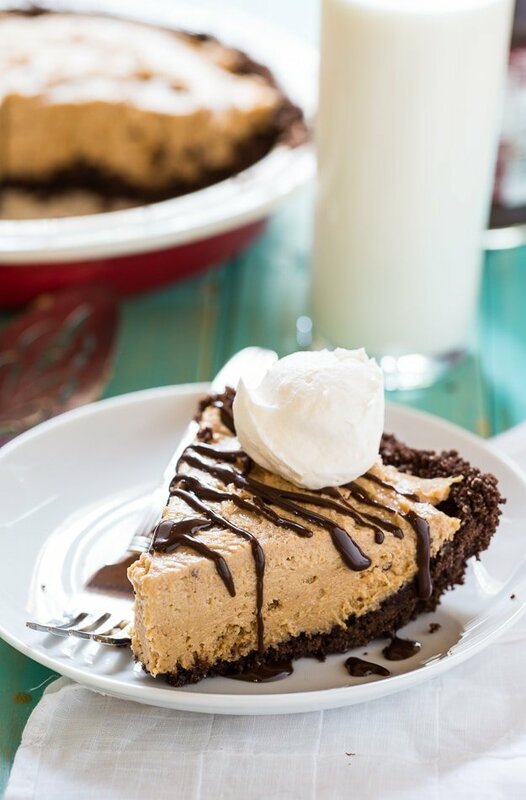 Lighter Peanut Butter Pie has a chocolate graham cracker crust and a creamy and rich peanut butter filling, but I’ve cut the sugar and fat so you can indulge this holiday season without the guilt. This is the time of year I always start thinking about my personal goals for the upcoming year. 2016 is really going to be a pivotal year in my life because my youngest child will be leaving home to go to college. It has really hit me that I’m entering the second half of my life and as each year goes by it’s more and more important to stay healthy. Y’all know I love me some good ‘ole southern comfort food which isn’t always easy on the waistline, but I think the way to stay healthy is moderation. And lots of exercise. I try to eat really healthy and light 2 out of 3 meals each day and then for the third meal I eat pretty much whatever I want, but I try to keep my portions under control. This time of year there are so many food temptations it really takes a lot of discipline to not really overindulge. 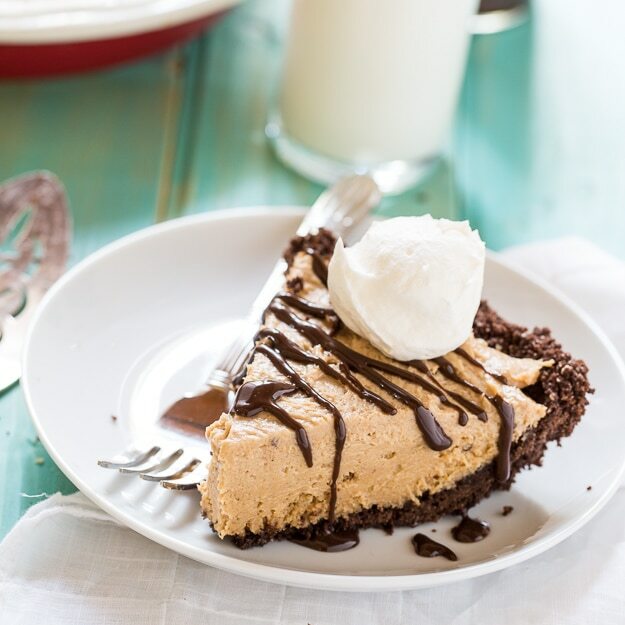 This Peanut Butter Pie is totally lightened up and whether you need a guilt-free dessert for the holidays or a treat to satisfy your sweet tooth while you’re trying to get rid of holiday pounds, this pie has all the taste of a creamy, decadent dessert. I’ve used SPLENDA® No Calorie Sweetener, Granulated to reduce the sugar substantially plus low-fat cream cheese and a banana in the filling to help cut the fat. For the crust I used chocolate graham crackers mixed with some melted butter, a little cocoa powder for more chocolate flavor, and a little more sweetness from SPLENDA® No Calorie Sweetener, Granulated. The creamy filling is made from Natural peanut butter, a ripe banana, reduced-fat cream cheese, SPLENDA® No Calorie Sweetener, Granulated, plus some sugar-free whipped topping to give it a lighter, fluffier texture. If you feel the need to have a little more chocolate (I always do! ), drizzle some sugar-free chocolate syrup on top. A slice of this pie will give you all the satisfaction of having eaten a rich, indulgent dessert, but it won’t ruin your diet. 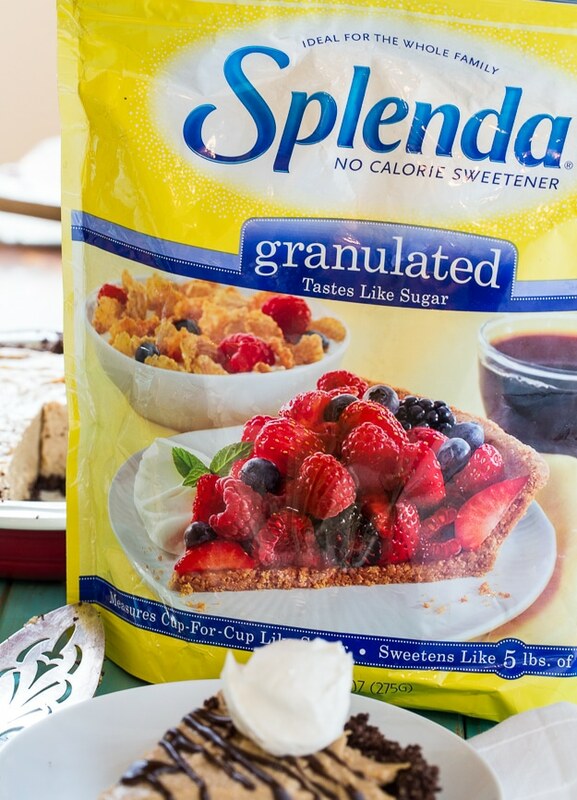 I love that with SPLENDA® NO Calorie Sweetener, Granulated adds no calories and can be swapped out evenly for sugar. There are so many ways you can use SPLENDA® Sweetener Products to cut the sugar. Check out these other recipes on Spicy Southern Kitchen: Mocha Hot Chocolate, Lightened-Up Sweet Potato Pie, Pumpkin Spice Smoothies, Lightened-Up Blueberry Coffee Cake, and Lightened-Up Cheesecake Bars with Fruit Toppings. And take a look at these Sweet Swaps for many other ideas for swapping sugar for SPLENDA® Brand Sweetener. Plus don’t forget to follow SPLENDA® on Pinterest, Twitter, Facebook, and Instagram. Lighter Peanut Butter Pie has a chocolate graham cracker crust and a creamy peanut butter filling, but with less sugar. In a medium bowl, stir together graham cracker crumbs, unsweetened cocoa powder, 1/4 cup SPLENDA® No Calorie Sweetener, Granulated, and melted butter. Transfer to a 9-inch pie plate and press firmly on the bottom and sides of the pie plate. Bake at 350 degrees for 8 to 10 minutes. Let cool completely. Beat cream cheese, peanut butter and banana with an electric mixer until smooth. Beat in SPLENDA® No Calorie Sweetener, Granulated. Taste for sweetness. You may want to add another tablespoon or two of SPLENDA® No Calorie Sweetener, Granulated. The sweetness of your banana and brand of peanut butter can effect the overall sweetness of the filling. Fold in whipped topping. Transfer filling to prepared crust and refrigerate for at least several hours before serving. This entry was posted in Desserts, Pies and Tarts and tagged Peanut butter, pie, Splenda®. Bookmark the permalink. This pie looks sooo tasty and I love that it is a lightened up version! 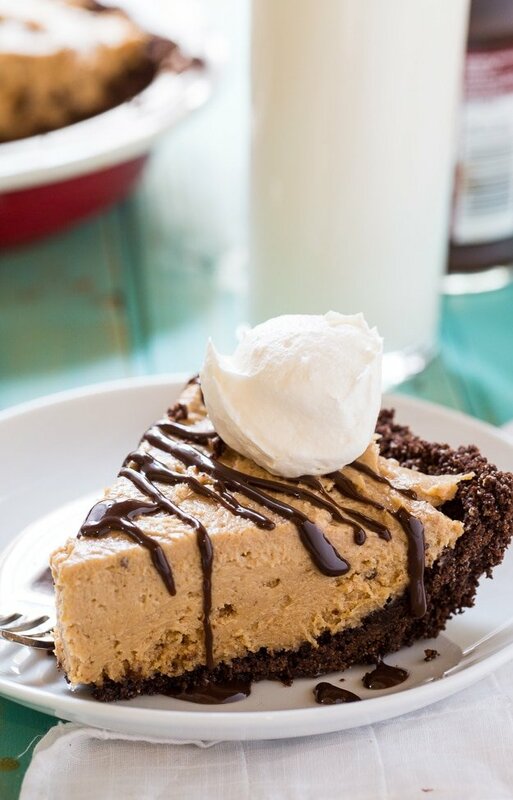 This peanut butter pie is absolutely gorgeous, Christin! I love that you made it lighter. It looks like the perfect indulgence for this time of year! Since I’m already close to maxing out my self-imposed winter weight limit, I can appreciate this lighter version of peanut butter pie. It looks peanut buttery, chocolaty, smooth, and scrumptious! I know a lot of people who love peanut butter pie, so this will be perfect! I feel like a need a lighter dessert right about now. Though it’s a lighter version it looks irresistibly creamy!